Skip bot updates in the Manager. 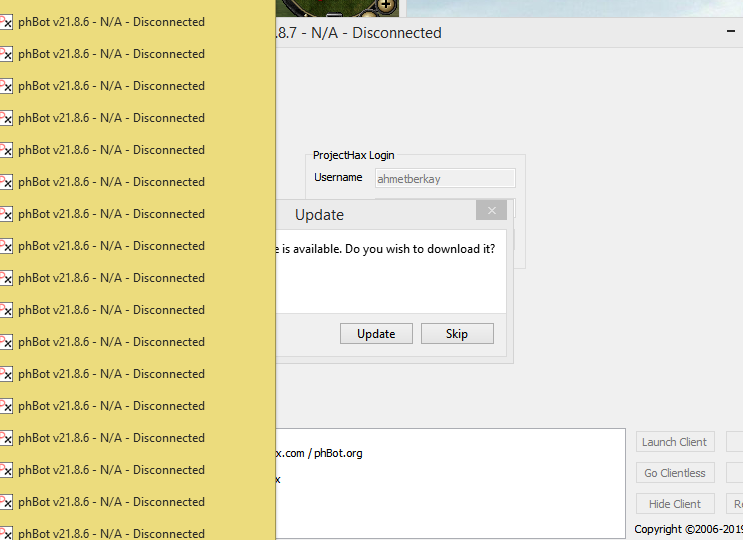 You have to let it update the database and it can only be done by one bot. do you can, show the bot when have any check box pelo mannager? You told it to hide so it’s going to be hidden. If you know there is a game update then you should let it update manually.